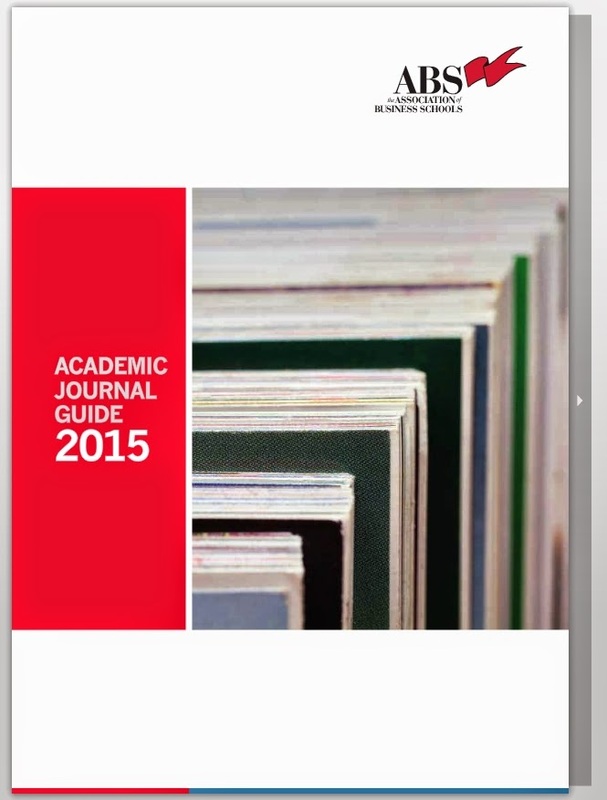 The latest Association of Business Schools (ABS) list of journals 2015 is finally out (called as the Academic Journal Guide 2015). There was a bit of drama as the server hosting the guide was attacked and the guide went down for a while. After all the initial hiccups, the guide is finally up. However, unlike the previous version, you now have to register in order to access the guide and you cannot download it either. There are a few changes in the rankings. Also the format seems to have changed. They now have 5 categories as opposed to 4 in the past. There is now a 4* category on the top followed by 4, 3, 2 and 1 ranked journals. The star is missing from the rest. The Journal of Retailing has lost it's spot in the top rank and has been replaced by the Journal of Consumer Psychology which was not even in the old list (ABS ranking of Marketing Journals, Version 4 - Updated 2010). Only 3 journals in this list. As mentioned above, the Journal of Retailing seems to have been relegated while two journals previously ranked 3* are now in this list. 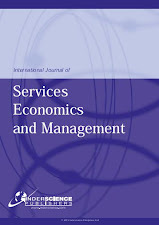 The Journal of Service Research is listed under Sector studies but I have added it here anyway as a number of services marketing papers are published in the journal. Few new journals in this list. One notable change is that the Journal of Marketing Management has now gone down in the rankings and is no longer in this list. Three journals previously ranked 2*, have been upgraded to 3, viz., the Journal of Interactive Marketing, Marketing Theory and Quantitative Marketing and Economics. Several journals which were previously ranked 1* has now been upgraded to 2. 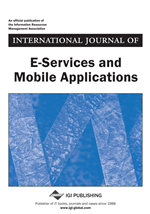 I am delighted as this includes two journals in which I have recently published papers, viz., the Journal of Retailing and Consumer Services and Qualitative Market Research: An International Journal. 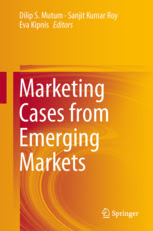 A surprising change was that of the Journal of Marketing Management which was previously 3* has been downgraded. Also quite surprised that the Journal of Marketing Communications which used to be a 2* journal has been downgraded to 1. The Journal of Consumer Affairs is a new addition to the guide and goes straight into the list of 2 ranked journals. The Journal of Consumer Psychology was listed as a 4 journal in Psychology in the previous edition of the ABS list. It has simply been properly assigned now to Marketing in a manner consistent with its treatment by the Financial Times as a top journal in business. Why isn't "Journal of Business Research" in your list? 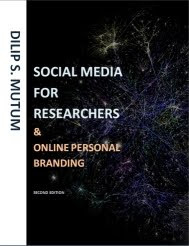 It is a well respected marketing journal and is ranked in various marketing journal ranking lists. Thanks for pointing that out. It used to be a 3* journal under the old ABS list but is no longer listed under Marketing in the new list. 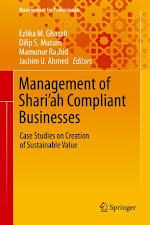 It is listed as a 3 journal under General management, ethics and social responsibility stream. Did I miss the Journal of Service Research? 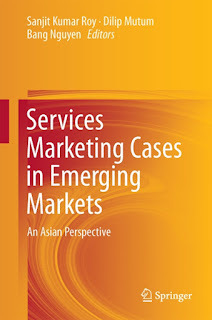 The Journal of Service Research is not listed under Marketing but under Sector Studies. However, I have included it here as a 4 journal. Thanks. Journal of Social Marketing is not on the ABS list. Sales and Marketing play a key role in the overall growth of any organization. Be it a technology pioneer or a FMCG giant or a conglomerate, everyone need a sales and marketing department. Yes, they are the most important functions in an organisation.